Theres really no better month on Edisto Island than October. The weather is warm, the water is cool, the crowds are gone, and one of the best weekends ever rolls around. The second Saturday in October always marks the time for the Edisto Art Guilds fall show and sale and the Edisto and Beyond Tour. The annual fall show and sale will be set up on the grassy lot next to the Edistonian on Highway 174. This event gives residents and visitors a chance to view and purchase arts and crafts handmade by locals. It also gives the local artists and artisans a chance to showcase their work and gain exposure for themselves and the art guild. Much of whats on display is inspired by Edistos abundant natural beauty and provides visitors with a chance to take a little piece of the island home to enjoy until their next visit. In addition to the art show, the highly-anticipated Edisto and Beyond Tour will be underway. While the tickets have already sold out, there is still a slight chance that there is room for more on the tour thanks to the previously-purchased tickets that are up for grabs since the ticket holders will be unable to attend. Contact (843) 869-1954 or email Gretchen Smith at gsmith@edistomuseum.org. Since this event is always the second Saturday in October, there is always time to plan for next years tour, which makes stops in several area churches, cemeteries, historic sites, and explores the grounds of a handful of plantations. Both of these events provide exposure for these two important groups that contribute the cultural background of the island. The Edisto Art Guild is a non-profit organization for artists and art supporters to get together. To join, contact Kathy Fritz at (843) 869-3576. Dues are $15 for one person and $25 for couples. Meetings are generally held on the second Monday of the month at the Lions Club on Myrtle Street. 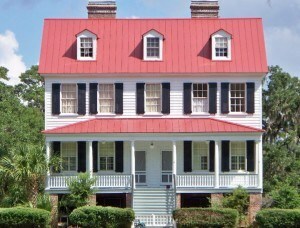 The Edisto Museum and Edisto Island Historic Preservation Society is a group of individuals dedicated to preserving the historical and cultural background of the island for future generations. The annual tour is the largest fundraiser for the group, but smaller fundraisers take place periodically throughout the year. Joining the EIHP provides members with free entry to the museum, discounts on gift shop purchases at the museum, a chance to book tickets for the annual tour in advance, no sales tax on gift shop purchases, subscription to the newsletter, and invitations to events at the museum and meetings. Contact the museum at (843) 869-1954 for more information.